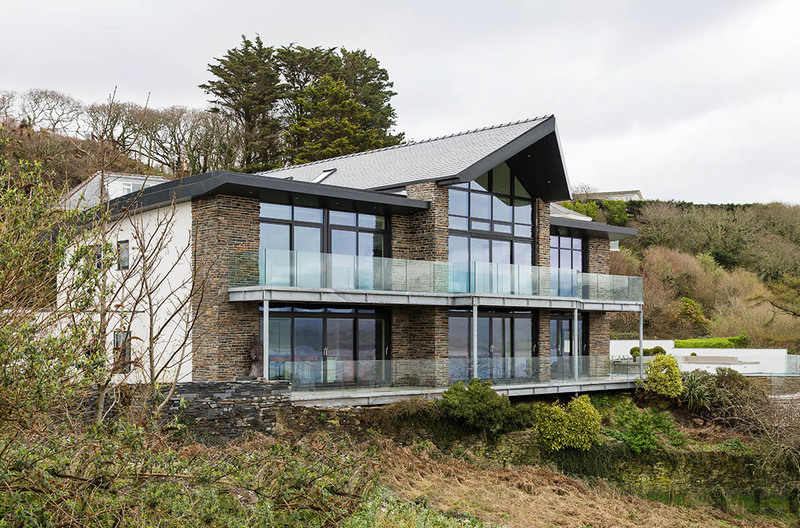 Mr Faulkners home in Porthmadog was one of our toughest design challenges, the new build was almost complete and the client wished for us to design something unique… due to a curved wall, no floor fixings allowed and quite a unique wall construction we had to create something exceptional. 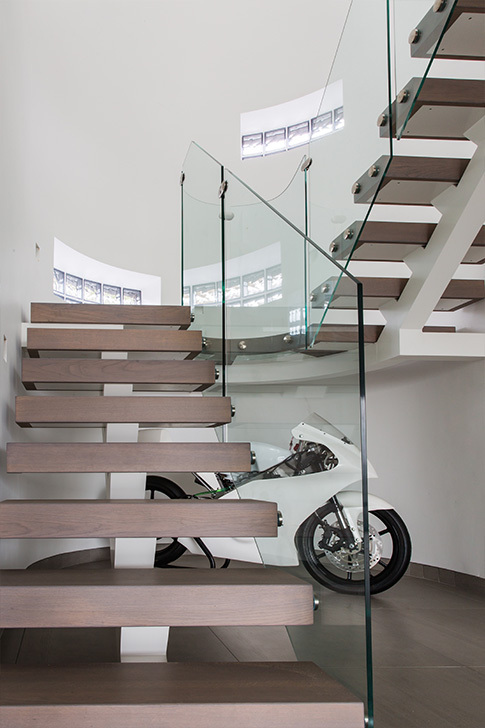 All staircases are laser surveyed to ensure perfect fitting, so we located steel beams within the walls and were able to create a self-supporting structure to float all aspects of the staircase without any ground fixings necessary and to flow with the imperfect curved back wall. 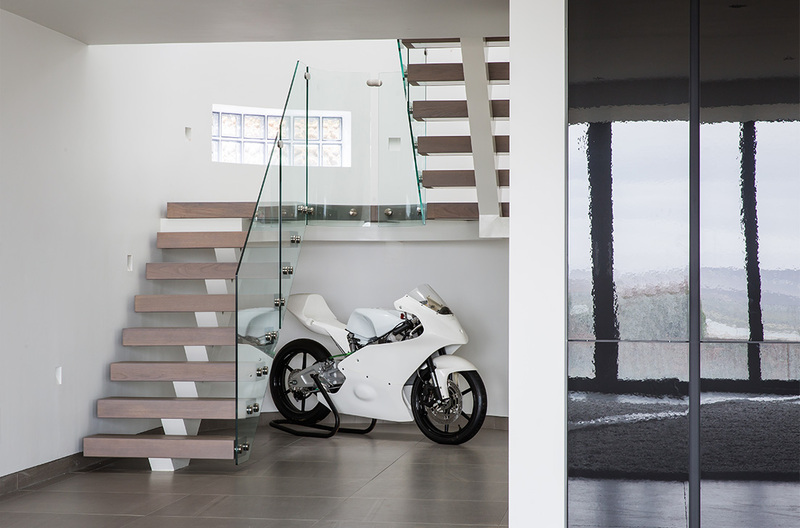 White walls allow our white powder coated steel spine to disappear creating a floating staircase effect without the need for structural steelwork. 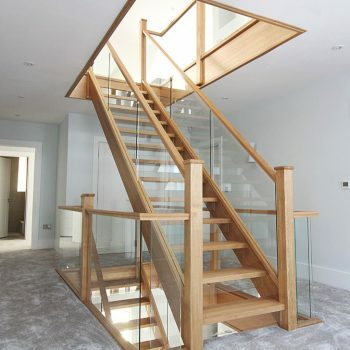 Our solid 105mm Engineered Oak treads were then able to be stained to the same finish as the doors throughout the property, to keep the interior style consistent throughout the property. Even the large curved landing was a solid 105mm engineered oak board, weighing in at over 230kg alone. 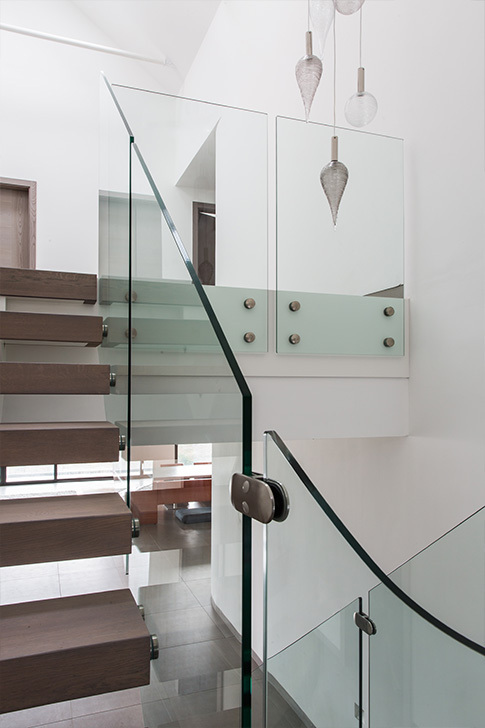 Mr Faulkner had a vision of a frameless glass balustrade with no handrails, this is not a problem for us but it does require a confirmation from your building inspector prior to production (which was approved). 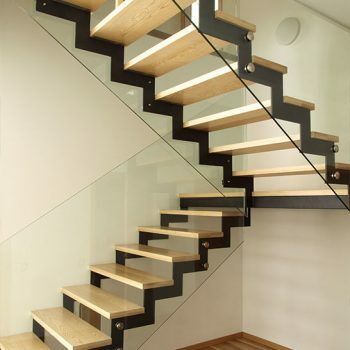 Handrails do provide a comfort factor to the staircase, but visually frameless glass look aesthetically impressive. 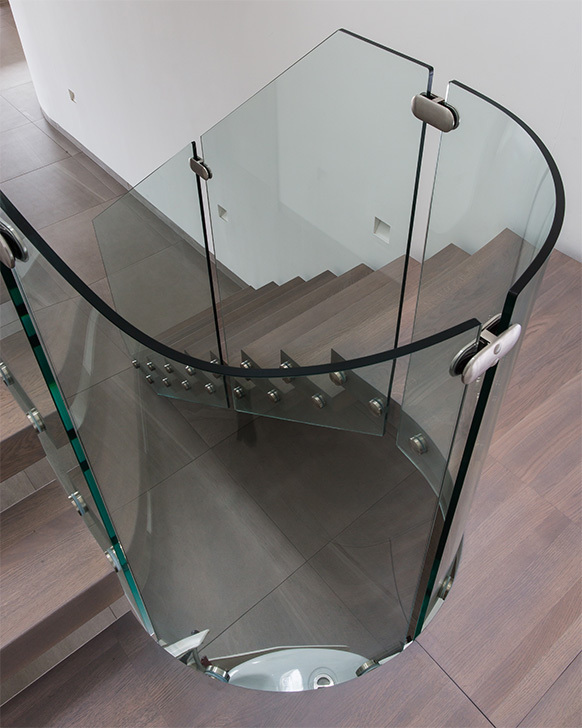 This glass two extremely tight curved panels to compliment the bespoke cut landing. 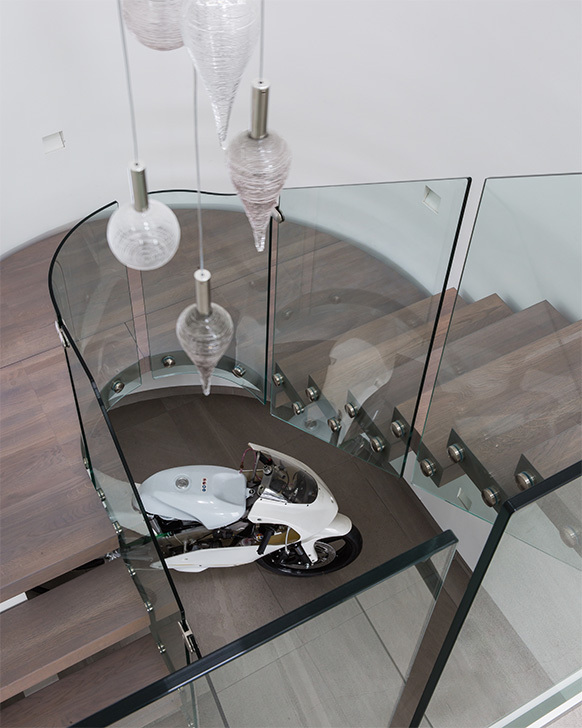 We planned this to push the glass bending abilities to the absolute edge, with a tight 400mm radius. 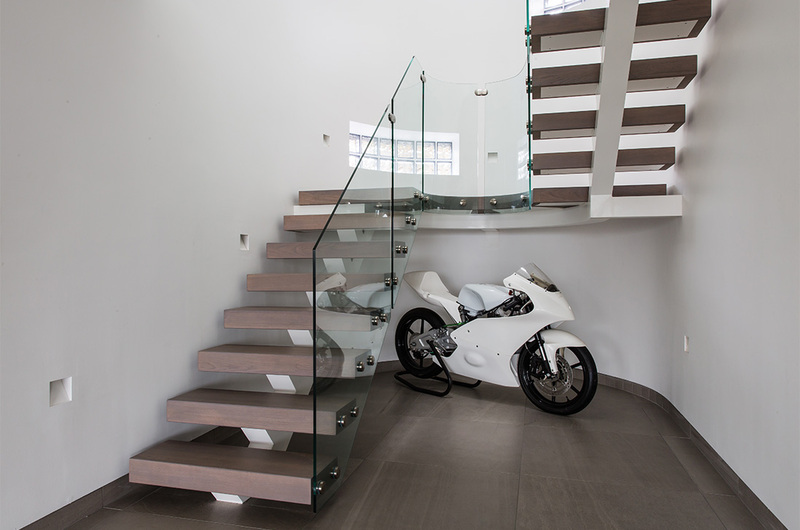 If every staircase was the same our team would get restless… we love a challenge like Mr Faulkners vision.